Healthy Baking: A super sweet treat that are great for after dinner or with a nice cup of tea. Put the cranberries in the food processor and blitz until they are finely chopped. Add the remaining ingredients to the food processor and process until they are evenly mixed. 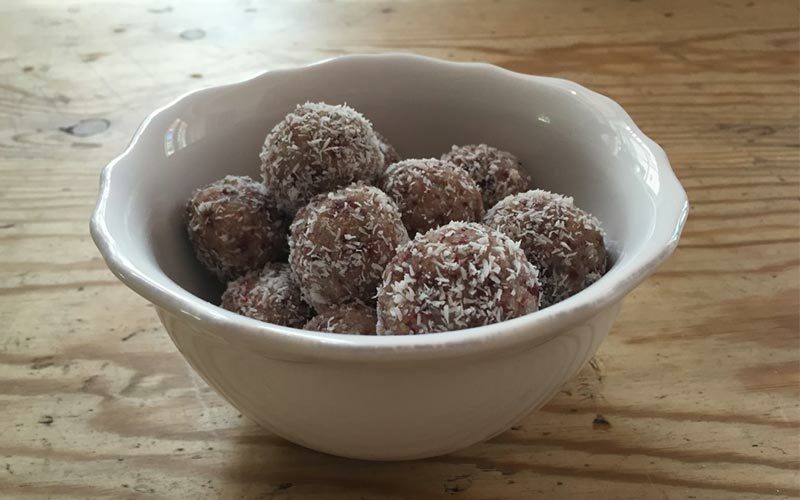 Roll into small balls and roll in remaining coconut to coat.